The Central Business District (CBD) in Hong Kong was not always as big and crowded as it is nowadays. When the British landed in 1841 at Possession Point in Sheung Wan - which you can visit on your Hong Kong private tours - they decided to build a city on the north coast of Hong Kong Island, and the present-day Central was chosen to house major military facilities and an administrative centre. 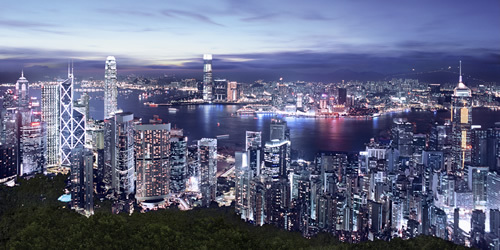 On our Hong Kong private tours you can visit the initial CBD that was located between Garden Road and Wellington Street. Ask your private tour guide Hong Kong to show you the east of Central Market where the headquarters of foreign investors and bankers were, while the Chinese merchants would settle down to the west of the CBD. You can visit those places your Hong Kong walking tours.